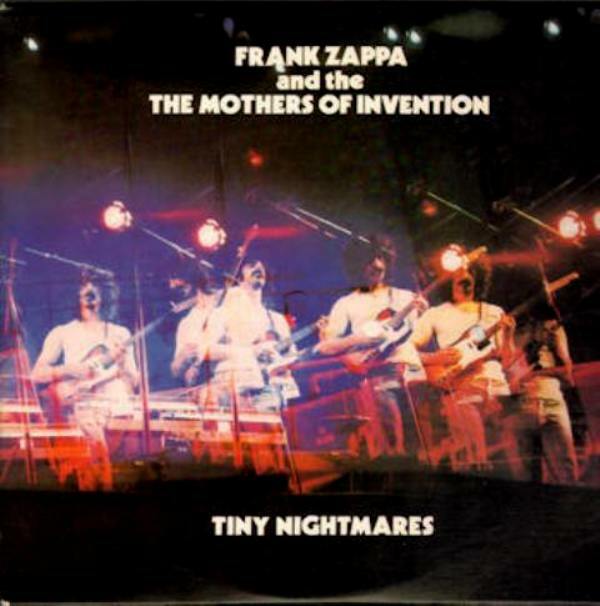 Now, I’m no Frank Zappa fan but this is amazing stuff that I want to hear again & again. 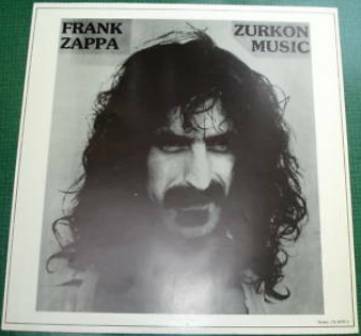 When the nearly three hours long oeuvre was done no distributor would touch it, “fearing that Zappa’s “cinematic style” had lost considerable appeal in post-’70s pop culture”. 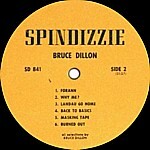 This attitude did not change after the movie was edited down to a more “commercial potential-enhancing” 90 minutes, nor after Bruce Bickford’s sequences won first prize at a French animated film competition. Zappa ended up distributing the movie himself and selling it directly to the public via mail order. 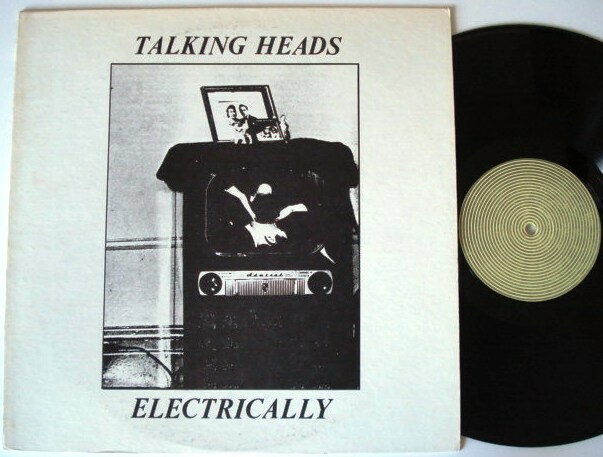 The release date was December 21, 1979. 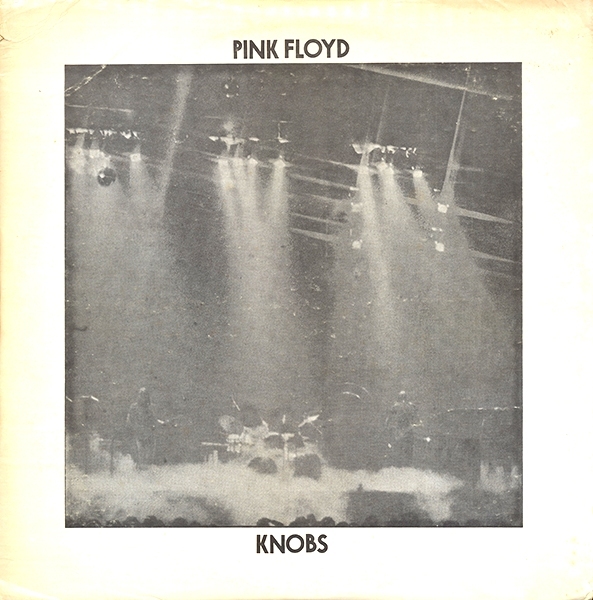 Part of the NY Palladium show was released on this bootleg (ZX 3659) and Hot Wacks claimed Tiny Nightmares copied this album – although as Ken was famous for mining KBFH broadcasts for his TAKRL series, maybe this was not a copy after all..
One website claims only “100 pressed in 1978/79 with b/w gloss front and back slipsheets. 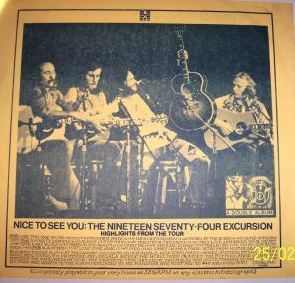 Contains June 28 1973 Melbourne (slipsheets have relevant concert photo, ticket & reviews)”. 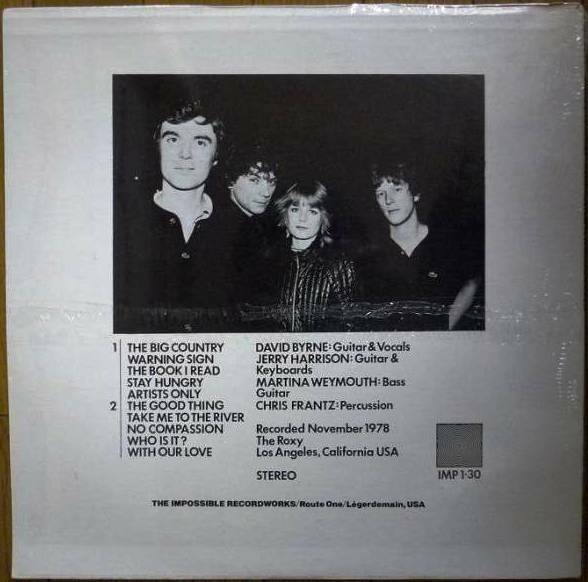 Cover images “borrowed” from the photo book The Concerts by Laurie Lewis, released in 1979 and mined by Ken for a number of front and back covers for his Beacon Islands label. 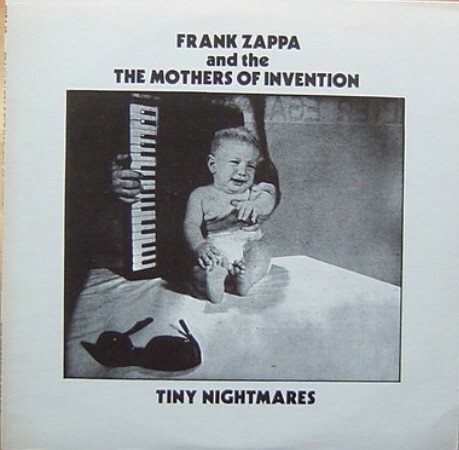 From an allmusic.com review: “There has been more than one Frank Zappa bootleg circulated under the title Tiny Nightmares. 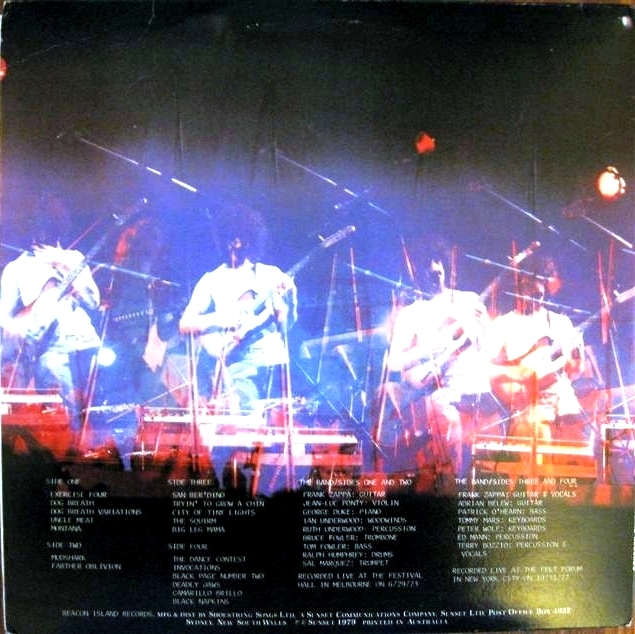 An earlier bootleg included the entire broadcast of Zappa’s Halloween 1977 Felt Forum concert (the first of two shows there that evening) as heard on the syndicated King Biscuit Flower Hour program in early 1978; this Australian product is a two-LP set that adds excerpts of a June 1973 audience tape (taken from a 2 ½ hour concert tape that was circulating among collectors in the mid-’70s), which had been previously issued separately as the bootleg Ultra Modern Stringbean. 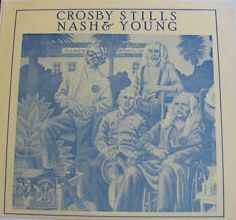 The 1973 songs have okay fidelity, though there is some distortion. 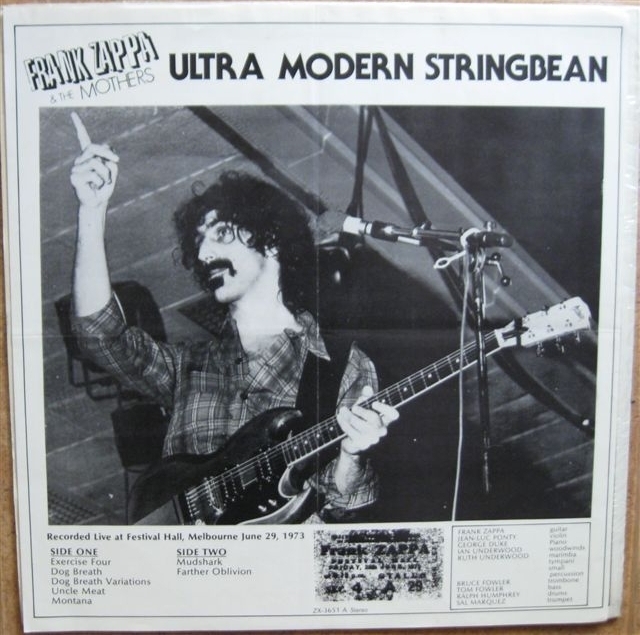 Zappa’s opening medley includes a prelude that hints at “Uncle Meat” before segueing into an energetic version of “Dog Breath,” which is immediately followed by “Uncle Meat.” Zappa’s humorous (but excessively long on this occasion) tribute to dental floss, “Montana,” and a rather distorted instrumental version of “Fifty-Fifty” conclude the first side. 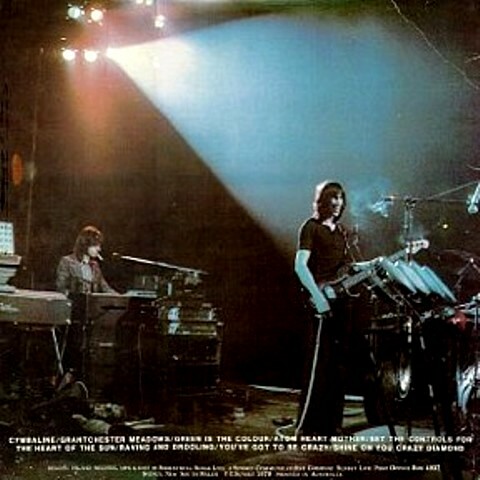 The remaining 1973 tracks consist of the lengthy and somewhat tedious “Mudshark,” made famous during Zappa’s Fillmore East June 1971 LP, which segues into a portion of “The Be-bop Tango.” The band on this occasion included keyboardist George Duke, violinist Jean-Luc Ponty, and percussionist Ruth Underwood. Source: UCLA, supposedly from December 1978 but details are sketchy. Audience recording. 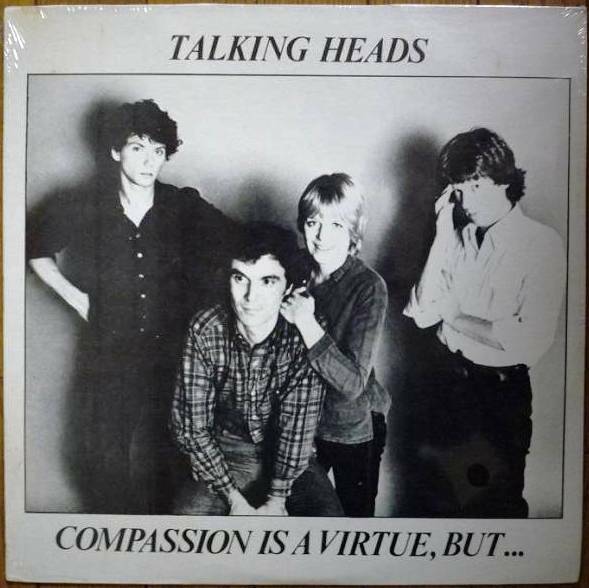 Sides 3 & 4 was supposed to be a repressing of Compassion Is A Virtue IMP 1-30 but a mix-up happened with the masters and some sets had LP 1 of Music For Palaces by Brian Eno(Centrifugal label) instead. 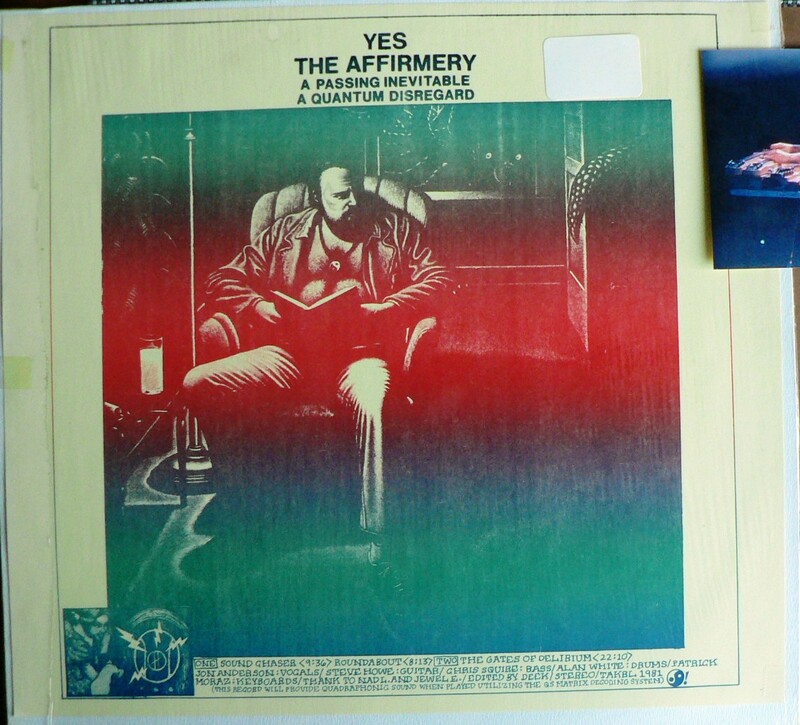 This tape comes from the DIR archives and was broadcast over the King Biscuit Flower Hour back in the seventies and has unfortunately never seen official release, but is one of the most popular recordings of Yes in circulation. 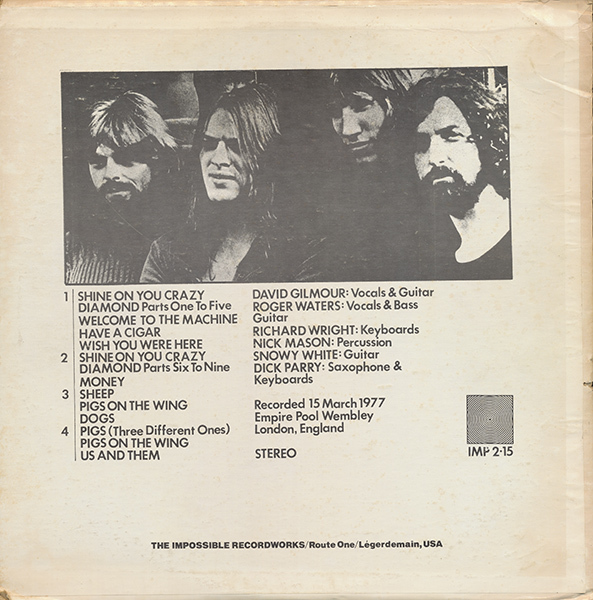 The above paragraph fails to mention that LP 2 of the Beacon Island title is from a different show altogether: Rainbow, London, December 1972. 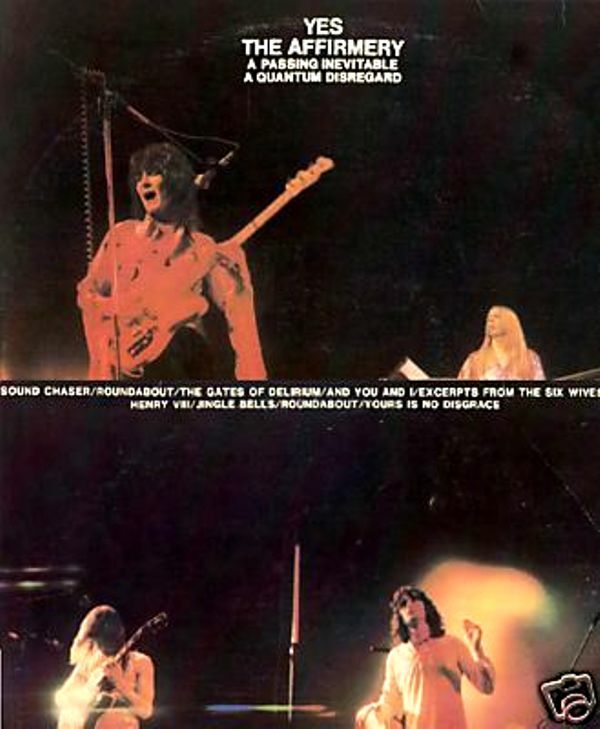 “Yes’ winter tour in 1974 lasted about a month and was a quickly arranged way to try out the new material on the road. 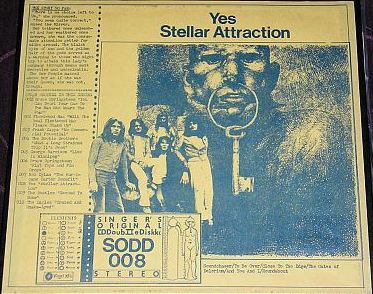 These shows featured a very short (for Yes) set list that was focused on the new songs. 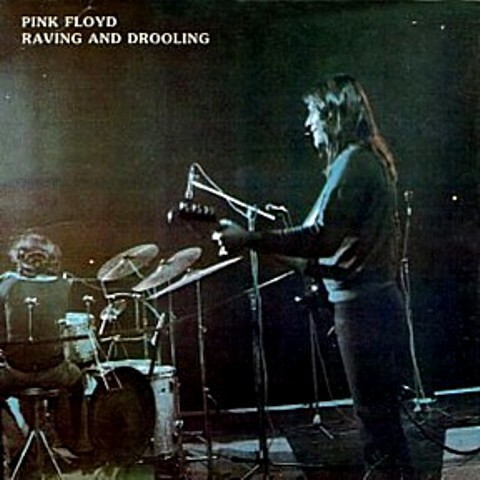 Later Relayer tours would feature the long solo spots and acoustic set, but these are very focused ensemble playing. There are many documents on tape including the recently excavated Baton Rouge tape, but Boston remains the only professionally recorded tape in circulation. Unfortunately it is not complete, missing the final song of the set “Ritual” and quiet possibly another encore since “Siberian Khatru” pops up in some of the gigs. 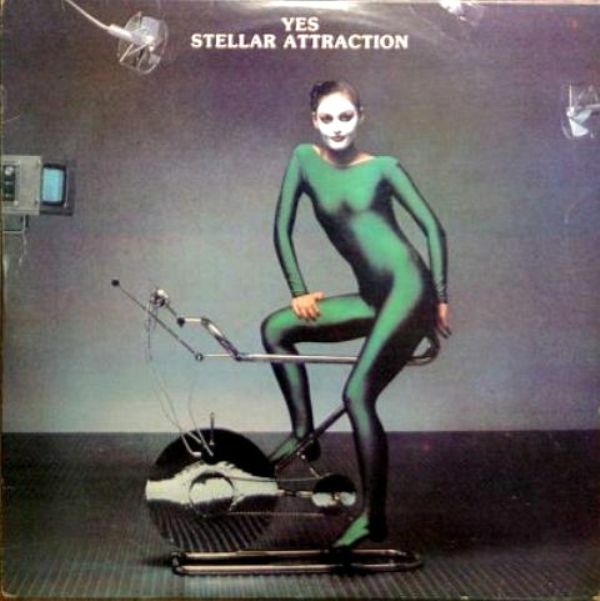 This release begins with the announcer speaking about the special two part Yes and Gryphon special before the “Firebird Suite” and the new song “Sound Chaser.” The song was so unusual in dynamics that even the radio engineers don’t know how to handle it and the backing vocals sound a bit out of tune. A perfect Moraz-tinged “Close To The Edge” follows before Jon Anderson says, ”It’s nice to be with you again… What we’d like to do is play our new album to you. And some other things later on. Now we’d like to play something called ‘To Be Over.’” What follows is a pristine version of one of their most sublime creations. 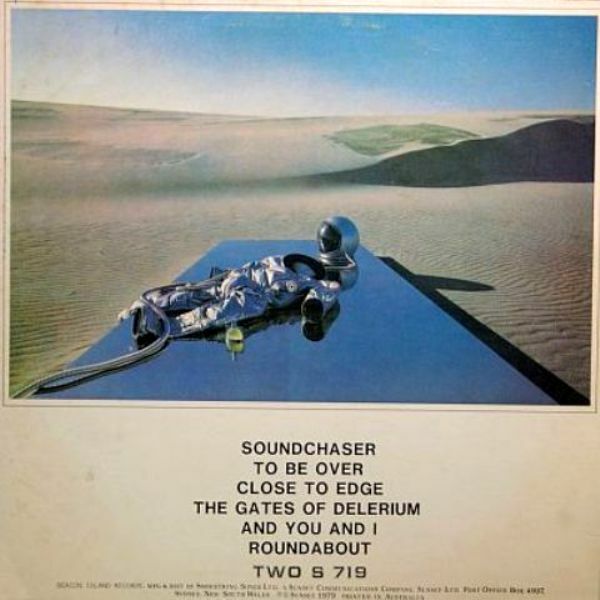 The DIR announcer has a few words afterwards before Anderson introduces the first side of the new album “Gates Of Delirium.” Much like “Sound Chaser,” the sound engineer plays around with the mix and sometimes Moraz’ backing organ sounds are louder than Howe’s stratocaster. Having such a clean recording strips the number of some of its excitement since the audience’s reaction is hardly visible. 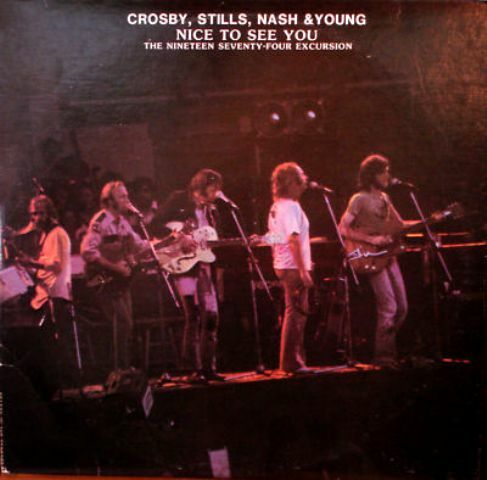 However, some of the Boston faithful do get some of their whistles in during the song and thankfully the engineers figure the song out enough to capture a great version of “Soon,” the closing peaceful section of the new epic. “Of the literally hundreds of potential dates that could have been chosen for this package, there were multiple factors that made the band’s August 13, 1975 show the best candidate for the debut installment in the Grateful Dead‘s One from the Vault series. 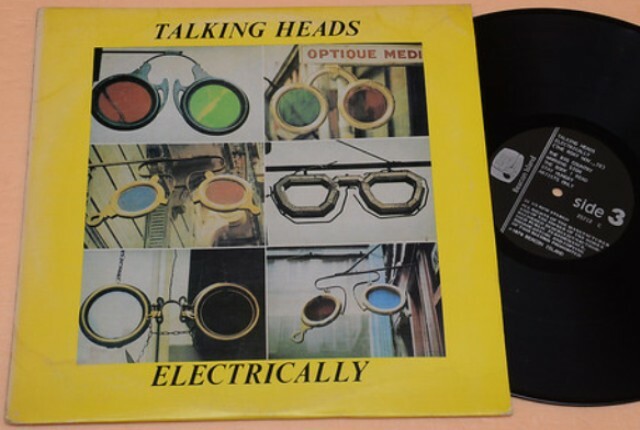 For starters — as is evident by the outstanding fidelity — the audio quality of the master tapes was excellent. Another obvious plus is that the entire band are eager to dig in, dust off their collective chops, and prove that their 19-month sabbatical hadn’t made them rusty. Deadheads concurred as the temporary cease in touring increased speculation as to the Grateful Dead‘s future. So it was with great anticipation that Jerry Garcia (lead guitar/vocals), Phil Lesh (bass/vocals), Bob Weir (guitar/vocals), Bill Kreutzmann (percussion), Mickey Hart (percussion/crickets) — who hadn’t been a participating bandmember since 1971 — and the husband and wife team of Keith Godchaux (keyboards) and Donna Jean Godchaux (vocals) took to the stage of The Great American Music Hall in San Francisco — for what was only their third public appearance in over a year-and-a-half. 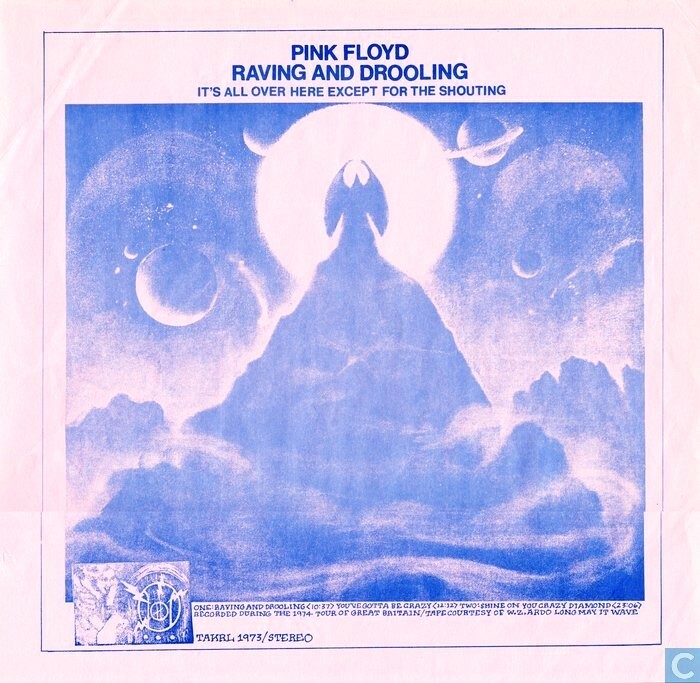 Add to the equation that they were not only going to preview material from their new album Blues for Allah (1975), but most every Deadhead in North America would hear the gig via broadcast on the nationwide Metromedia Radio Network. 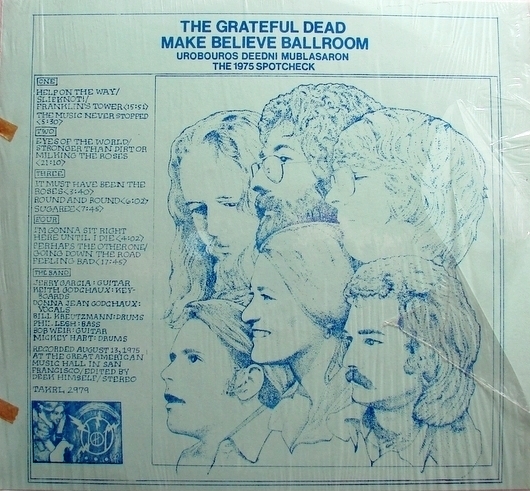 Proof that the Grateful Dead were still in demand was evident by the double-LP bootleg Make Believe Ballroom, which was lifted right off the radio and offered for sale within months. COMMENTS: US BOOTLEG. PLAIN COVER WITH PAPER INSERT. COPY OF ‘SCREAMING ABDAB’ (WIZARDO WRMB 330). 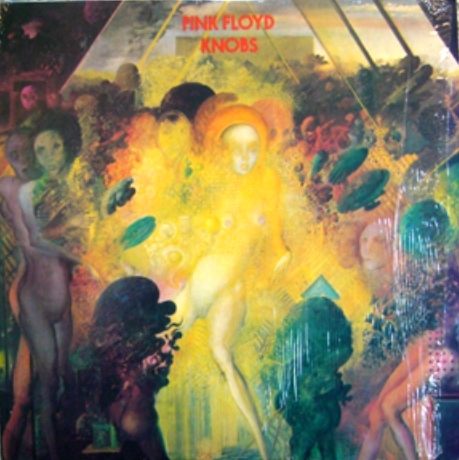 SOME COPIES MISPRESSED WITH JONI MITCHELL (MATRIX JM 1973-2) ON SIDE TWO – SOME, IF NOT ALL, OF THESE MISPRESSINGS APPEARED WITH ‘SPINDIZZIE’ OR ‘MONIQUE D’OZO’ LABELS. RARITY RATING: ***(TWO COLOUR INSERT) ****(TRI COLOUR INSERT) – A copy reached $123 at auction in January of 2013. SOURCE: EMPIRE POOL WEMBLEY, MIDDLESEX 17.11.74. 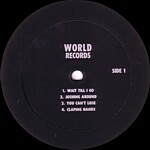 KNOWN LABEL VARIATIONS: TAKRL PLAIN – WORLD RECORDS – MONIQUE D’OZO – SPINDIZZIE. 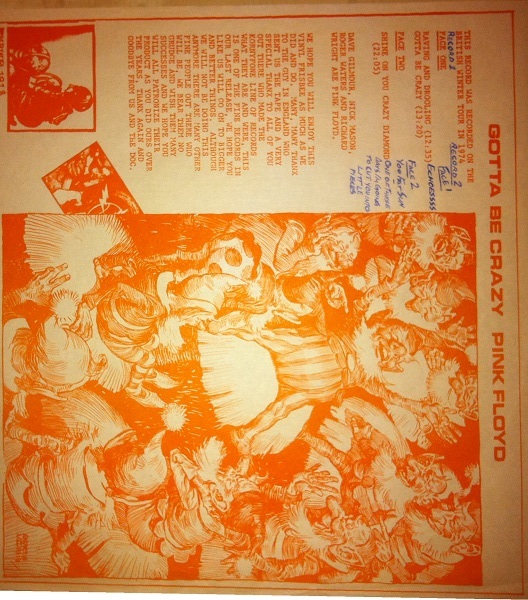 The source tape was an audience recording, London, 17 November, 1974; alternate LP title is ‘You Gotta Be Crazy (sources: WWW.DigiLander.Libero.IT and WWW.VinylCult.Org). 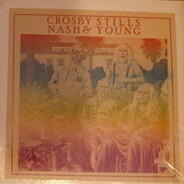 Side A on cover is Side B on LP, and vice-versa [ this was likely just a label mix up ]. This almost looks like a fake TKRWM cover design. Interesting how it has the TKRWM and part of the TAKRL logo. 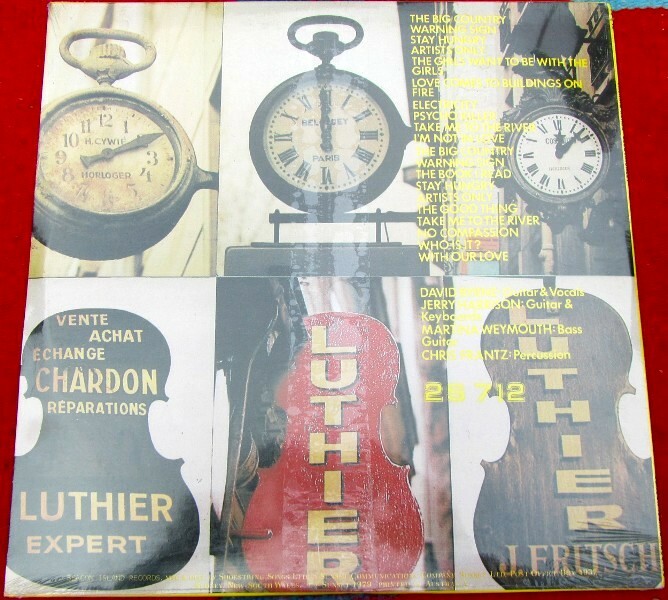 Disc 1 was a repressing of Ohm Suite Ohm (TAKRL 1933). 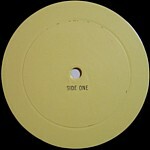 Some copies still contain(ed) the same mispressed side as the first release : “JONI MITCHELL ON SIDE FOUR”. 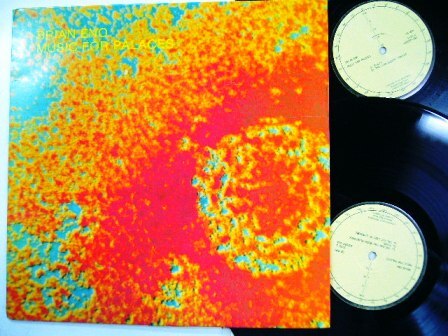 Warning: Some copies have as disc 2 a re-issue of The Rolling Stones’ “Sonic Barbecue” instead.